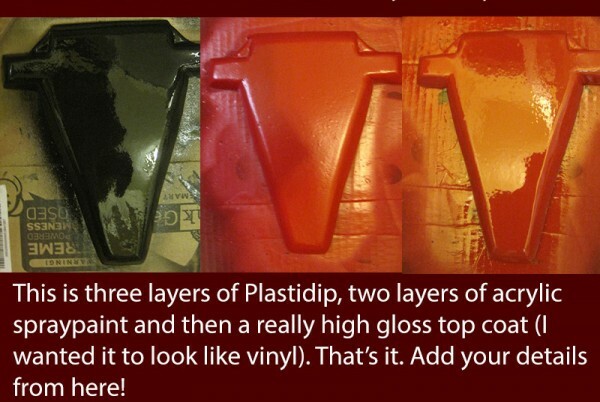 Tutorial on Using Craft Foam and Plasti Dip to Make Props « Adafruit Industries – Makers, hackers, artists, designers and engineers! We’ve discussed the value of craft foam before. It’s easy to obtain and inexpensive. 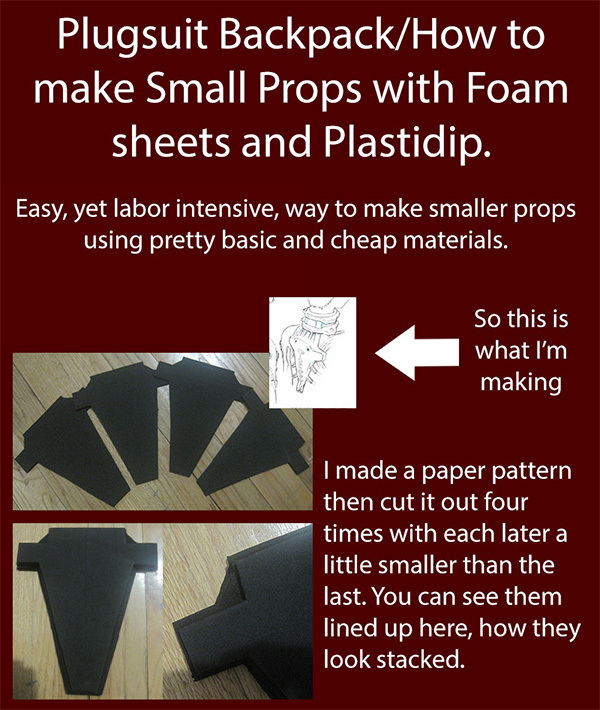 DeviantArt user RuffleButtCosplay has combined that material with Plasti Dip to make small props, and she’s created a tutorial showing how she used the items to make a plugsuit backpack. She started by making a paper pattern and cut it out four times with the foam – each piece was a little smaller than the last so it would stack up nicely. She secured them together with contact cement. After it completely dried, she sanded the edges to make them smooth. She added wood filler to the edges to fill in the cracks, waited until it dried, and smoothed it by sanding. Then, she sprayed it with three layers of Plasti Dip to get a nice and shiny finished product – it was inexpensive to make and it looks great. See the full tutorial with step-by-step photos at DeviantArt.